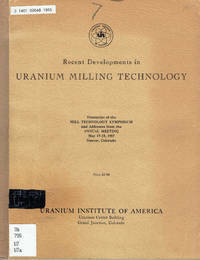 Uranium Institute of America, 1957. Soft Cover. Very Good. Seller's images, know what you are getting! Pre-packing weight is 0 lb. 9.8 oz . ORIGINAL, NOT A REPRINT OR PHOTOCOPY!! Has NO Dust Jacket. This volume Has Owner markings as noted. 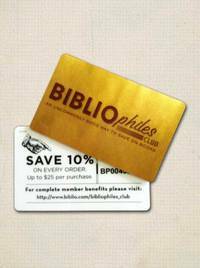 Ex-Libris, Has all standard Library markings, pocket, labels, stamps, or discard stamps. Has light wear or soil with mark-outs on page edges. Good hinges, text block is very solid. The Original Copyright date is 1957 for this Printing. This volume was purchased through DMRO from the Wright-Patterson Technical Library in the late 1990's. !!! NOTE !!! May HAVE Some STUCK PAGES due to Stencil ink (paint) on Top margin edges and covers where some intellectual incompetent tried to blot out the library markings for some insane reason! I don't think any are stuck, but I did NOT take time to check every page! Appears to have NEVER been signed out. Thank you for your purchase from Sunset Books! Help Promote World Literacy, GIVE a Book as a GIFT!! In stock, Ships from Ohio. WE COMBINE SHIPPING ON MULTIPLE PURCHASES!!!! SEE PICTURES!!!!! ANY ODD/GREEN TONES ON THE SCANS ARE CAUSED BY MY SCANNER or Pink tones by my camera!!! All of our Technical/Textbook/Ex-Library volumes were obtained legally through Public or Auction sales.